The AAV Titration protocol can be used to determine the number of genome-containing particles of an AAV prep using SYBR green technology. This protocol was validated using the commercially available AAV-2 Reference Material (ATCC # VR-1616), and by measuring the titer of samples obtained from academic viral vector cores. Our titers were similar to those reported by these institutions. This protocol is for a 96-well plate with 20 μL reaction volume. Master Mix: count the number of samples (n) and prepare master mix for an additional 10 samples (n+10 - the additional amount will ensure that there is enough master mix for all samples). Each sample requires 15 μL of master mix. Use a “Universal” SYBR master mix which contains a a high- quality DNA polymerase and a blend of dTTP/dUTP to minimize carryover contamination. The master mix should also contain an internal passive reference (typically ROX dye), to normalize non-PCR–related fluorescence fluctuations and to minimize well-to-well variability that result from a variety of causes, such as pipetting error and sample evaporation. Make the master mix after all the samples have been added to the qPCR plate. Start by adding water, then SYBR master mix, then the forward and reverse primers. Vortex briefly, immediately before use. Use a reservoir and a multichannel pipette to dispense the master mix into the wells. One option is to use plasmid #59462 from Addgene. The values highlighted below in red were calculated using this plasmid, but will change if you use a different plasmid. Once a validated standard curve is obtained, make a small aliquot of each standard (enough for 1 or 2 plates) and store at -20°C. Once a standard is thawed do not freeze it again but store at 4°C and use within 1 week. Keep track of the Ct value for each standard over time. They should remain within 0.5 Ct of their initial value. If the Ct value of the standard starts to drift, it’s time to make a new one. When developing the assay multiple plasmids containing ITR were tested. Plasmid #59462 is one plasmid that gave reliable and consistent results. Use the recommended plasmid, or test multiple plasmids to find a suitable one. Some labs have reported better results when the plasmid is linearized. Treat the purified AAV samples with DNase I to eliminate any contaminating plasmid DNA carried over from the production process (DNase does not penetrate the virion). *Pro-Tip* To help stabilize the standards add carrier DNA to a final concentration of 4 ug/mL to each standard dilution. Dilutions highlighted in green are the ones loaded onto the qPCR plate for most samples. Load 5 μL of each sample in duplicate. Do not forget to include a no template control (NTC = master mix + water). Add 15 μL of Master Mix per well and mix well by pipetting back and forth at least 5 times. Seal plate with transparent film. Centrifuge at 3,000 rpm for 2 min to bring the sample to the bottom of the tube. Perform data analysis using the instrument’s software. Determine the physical titer of samples (viral genomes (vg)/mL) based on the standard curve and the sample dilutions. Baseline removal: all samples will have some small amount of background signal that is most evident during initial PCR cycles. This background signal must be removed to accurately determine differences between samples. Melt curve analysis: a single peak should be seen. The presence of a second peak at a temperature of ~70-75°C usually indicates the presence of primer dimers which can increase background signal and alter the Ct values of your samples. Quality of your standard curve: you should observe differences in Ct values that make sense for your dilutions (~3.3 difference Ct for a 10-fold dilution is appropriate). Quality of duplicates: Exclude duplicates from analyses if there is more than a 0.5 Ct difference between them. 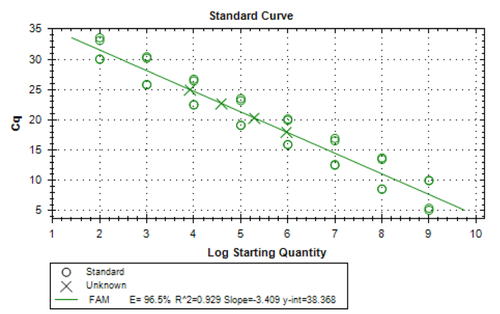 Figure 1: Example of a valid 8-point standard curve. 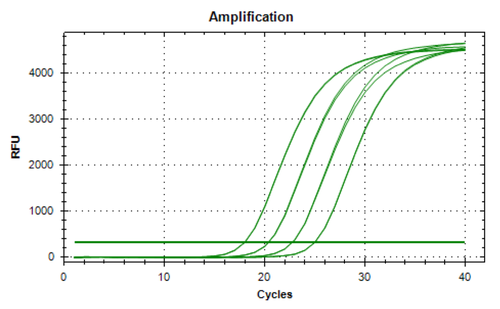 Figure 2: Example of the amplification plots obtained from an AAV sample. Each curve represent a dilution.